Poker Nordica is one of the leading sites on the shared MergeGaming Network which has its head quarters in Australia and its servers Kahnawake, Canada. The MergeGaming network is one of a select handful of online poker networks who welcome US players. The MergeGaming network comes in 20th place out of 32 networks on Poker Scout when it comes to player traffic, but don’t worry there’s still more than plenty of players to win $ from. 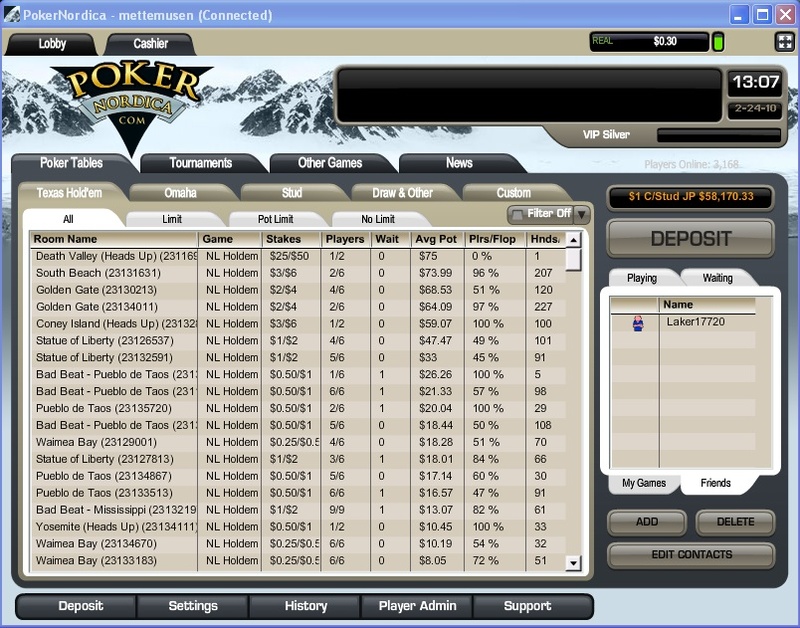 I have played almost every network available and many different poker sites on each network and in my opinion Poker Nordica has one of the nicest software interfaces both when it comes to their lobby and the actual tables. Think of your Poker Nordica sign-up and bonus as a parallel account to your regular poker account. The more you play, the faster the money will be transferred from your bonus account to your regular poker account. When you sign up for a Poker Nordica bonus and rakeback deal through the Poker Bankroll Blog you automatically qualify to join the Poker BRB tournament and freeroll league. Here we run a monthly tournament competition with great monthly finals. 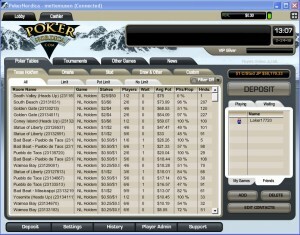 You can find more information on how to sign up for the PokerBRB tournament and freeroll league here.